Home > Crocodile Clips Ltd.
Found one file extension association related to Crocodile Physics and 1 file format developed specifically for use with Crocodile Physics. 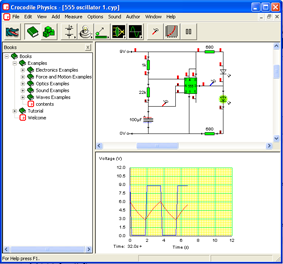 Crocodile Physics is a powerful but easy-to-use simulator that lets you model a range of models in electricity, motion and forces, optics and waves. It was replaced by the Yenka product family. The Crocodile Physics software seems to be old or discontinued. If you need more information please contact the developers of Crocodile Physics (Crocodile Clips Ltd.), or check out their product website.